[Game Developer Conference 2019] is in San Francisco, CA on March 18-22 this year. NEW Quartz Pink Razer Blade Laptop + Accessories Unboxing! [ChromaAPISync] automates the process of keeping the Chroma API in sync. This was previously a manual process. Now it automatically generates the nice class wrapper and sorts the methods in alphabetic order. Plus it generates README documentation. UE4ChromaSDKRT is a Chroma UE4 plugin compatible with UE 4.5. The [ChromaDiscordApp] that I’ve been working on has been whitelisted and released. 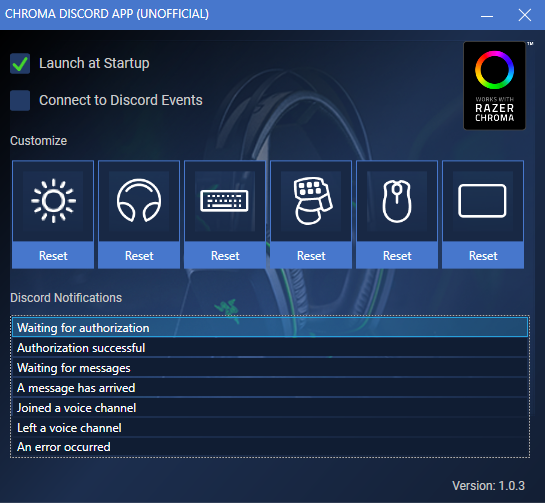 Chroma Twitch Alerts [v1.0] – Light up your Stream! I’ve been working on the [ChromaTwitchExtension] and it passed Twitch review and released.